Do sulfates in wine cause headaches? “I get a headache from the sulfites in the wine but when I go to Europe and drink their wine, I don’t get them because they don’t use sulfites,” some say. Not so. There is a lot of misinformation out there about sulfites (sulfur dioxide and its other forms) and wine. Sulfites are added to wine and many foods to fight oxidation, microbial contamination and premature aging. Lisa Gross in the January 2011 issue of “Wines and Vines” did an excellent article on the subject because sulfites have been getting a bad rap starting back in the ‘70s and early ‘80s with the salad bar controversy. Those of us who were around in those days probably remember that many people where getting sick after eating in restaurants. At that time, food processors (and many even now) used a bunch of sulfites in many foods such as canned, dried, and fresh fruits and vegetables plus veggie syrups, juice, fresh and baked products, chips, seafood, candy, beer, wine plus a whole lot more. The processors put in prescribed and exact amounts of sulfites, but at the restaurants the amounts added to salad bars were being applied “willy-nilly” in large amounts by untrained hourly employees — “If a little bit is good, then more is better!” They were spraying it on by the bucket loads and even those who were not allergic were getting sick. This brought about several studies, and it was found that there are a very small number of asthma sufferers who can have problems with sulfites. There are an estimated 22 million Americans with asthma of which 20 percent have severe problems and 5 percent of that group are very sensitive to sulfites. The Food and Drug Administration outlawed sulfite sprays on fresh foods and required warnings for 10 ppm and above on prepared foods starting in 1986. European wineries, which also use sulfites, do not have to put a sulfite warning on their wines, except when they are exported to the United States. Sulfite exposure can aggravate the symptoms of asthma but contrary to popular opinion does not cause headaches. That myth probably comes from where we have to put “Contains Sulfites” on the wine label, which makes people think that it is a warning for headaches. It also doesn’t seem to be a histamine problem either, except in rare cases. It is now thought by some experts that tannins are the problem. They are flavonoids in the wine that comes from the skins, stems, and seeds. The skin of reds which gives color to wine usually has more tannins than do whites. We ferment reds with the tannin-loaded skins and seeds; whereas, with whites we usually crush the whole clusters or individual grapes and ferment the juice. Wine can also pick up tannins from oak barrels which also need to be sulfured when unused to prevent contamination. Tannins in big reds include French reds, Port, Cabernet Sauvignon are usually high when young. These are filled into Bordeaux bottles with a hip shoulder on them; whereas, lower tannic Burgundy red wines (Pinot Noir, Sangiovese) are filled into sloped shoulder bottles along with Chardonnay and other whites which should give you an idea of tannin levels. Other possibilities for red wine headaches may be from the release of prostaglandins, or from strains of certain yeast or bacteria found in wine. You can look up red wine headaches on the web for different over-the-counter remedies you can take an hour before drinking wine that may prevent headaches. Renaissance winemakers, and probably before, burned sulfur and forced the fumes into barrels to sanitize them. It was legalized in 1487 by German royal decree. Fumigating barrels in this way could have over-sulfured barrels and affected the wine. Now with experience and food grade sulfur, winemakers have much more control over the product, which is classified by the USDA as “generally regarded as safe.” When the grapes are brought into wineries and dumped into the auger at the crusher or later during fermentation, anywhere between 20-50 ppm of potassium meta-bisulfate is added to control wild non-grape yeast and spoilage bacteria. This gives the native grape yeast from the vineyard, which we rely on in our winery, a head start in the fermentation process. Now with better sanitation and refrigeration amounts can be much less especially if your fruit and winery are clean. Most wines contain sulfites because sulfur dioxide is naturally produced during fermentation. The main thing that is checked throughout the wine process is the free sulfur dioxide level, which should be around 25-35 ppm at bottling, a level that only the very sensitive person would pick up. After time in the bottle, the amount could be down to 5-10 ppm, depending on pH, sugars, varietals, and oxygen levels. Because there is always some sugar left in wine before it is bottled, if stray yeast gets in the bottle before capping and not checked with sulfur, we could have a lot of trouble on our hands. Many growers spray or dust sulfur on grapes as a fungicide which adds more sulfur to the natural sulfur on the vines. Instead we use an organic mineral oil, same basic material as in lipstick, as our main fungicide to prevent Powdery Mildew. We also have cut down on the use of barrels, using mostly older neutrals, to less than 10 percent which minimizes the tannins absorbed from the wood into our wines. For the most part, we use stainless steel tanks and FlexTanks, which are polyurethane food grade tanks that lets in air but not out (passive micro-oxidation). These contained tanks allow us to keep more of the fruit flavor in the wine (not flavored with oak). They are much easier to store and sanitize than oak barrels which can get real funky and must be stored in cool storage (expensive) and sulfured when empty. We also don’t have to do the expensive and labor intensive top-off operations to make up for the “Angel’s Share” that escapes from barrels. So, in conclusion, we need sulfites in our wines to give you a fresh safe product; it is not the reason for red wine headaches. By the way, the headache you get six hours after drinking a bunch of wine is called a hangover! John is a 6th generation California farmer whose family has been continuously farming in California for 160 years starting in the Sacramento Delta in 1850. 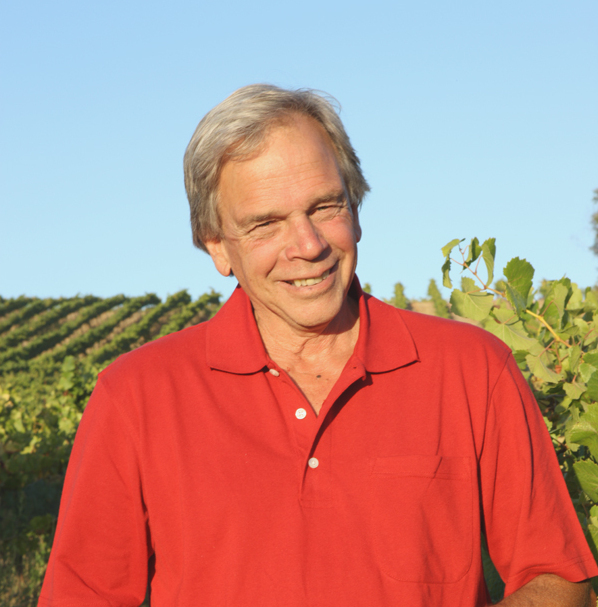 John now concentrates on farming 45 acres of wine grapes in the Avila Valley and Paso Robles producing Salisbury Vineyard wines. Yes, sulfites can affect a very small number of people and I am so sorry that your son is one of them. It must be hard to select food and drink without sulfites. I have friends that suffer migraines and it is not a good thing to see. I can relate because never really ever having had headaches something got to me a year ago and basically cripple me for a week waiting to see a specialist. Just wanted to find a black hole and cover up. The Doc gave me a silver bullet pill and it was gone in an hour. In the case of wine, it appears that the tannins that are in the skin and probably mostly the seeds which are loaded with tannins could be the main culprit for regular red wine headaches. Thanks for your comment and taking the time to read the article. Rip the land up to 6 feet deep, kill it, by spraying some hideous fungus killer on it which ruins it for growing anything else for a long, long time. Put sulfites in it because everyone else does. Tell everybody how classy you are when you drink it, become addicted to booze like most of the country which causes untold problems and don’t use all those acres for, I don’t know, food? I’m tired of the wine industry shouting and swearing how wonderful the buzz is. You’re selling a drug, Johnnyboy. What’s worse in society than drunkeness? Cheers, you’re selling trouble in a bottle. And really, does wine taste good? Yuck. Besides, look at the vintners. Cowboys tryin’to look Continental……man, that’s a stretch. Sorry, I hate wine, tired of the noisey industry in my county and hate what they do to the land. Food is a different story. Wow! I guess you don’t like wine. First of all most vineyards are as closer to organic than most agricultural crops. It is a rare case, especially in SLO County, where chemcals are added in ground preparation – only when following orchards which we don’t have. I think I made it clear we put in a very small amount of sulfites in the wine to keep from spoiling and that only the most sensitive person can be affected. As for your diatribe against wine and growers, that is your opinion and one that is hopefully not shared by many. Our industry provides a lot of jobs and income locally to allied businesses and is one of the few bright spots in this lousy economy. As for wine replacing food producing land, tell me what crops you can grow over in hot Paso Robles or on our slopes here on the Coast that would replace winegrapes? There arn’t any or else we would be growing them. Also, wine has the added health benefits when taken in moderation, which most wine drinker do, over many other foods. Chill out, have a glass of wine, and help your health and mental stress. Salud! Ah, that doesn’t work. After I sober up you have my money and I gotta hangover. And the industry is still here noisey as ever. Therer was 6′ deepclawing and soil injection going on according to Trib. yrs. ago. when the entire N. Co. was getting dug up for vines. What changed? Yes, just my opinion, I appreciate your response too. Just partial to the orig. rolling hills look without the cornball winetasting businesses scattered all over. Silly me. I certainly can understand original rolling hills being preferred. But I guess being a farmer, to me, vineyards here and there have a certain uniform grace and foliage color changes that add to the beauty of the landscape. Don’t worry, you won’t be seeing many more vineyards being planted on a large scale because at $30,000 cash an acre with banks are not lending and no income for several years, it is becoming cost prohibitive. Again not much soil injection for nematodes as a group for sometime now because we are smarter and much more environmentally conscious. In our case, outside of a few cases where we need to apply a commercial fungicide (a beer can size in 300 gallons with only a caution label, which you can buy over the counter, per 3 acres – 3,300 vines) added to our organic mineral oil, we are almost all organic like many vineyards. Thanks for your pass cash contributions, however small, to our industry and we hope we put your money to good use. Also, please drink responsibly and therefore not need to go through the throes of a hangover. I will try to keep the winery noise, with the exception of this column which I hope is an education tool from just a farmer’s point of view, down on my end. Thanks. You neglected to mention migraine headaches, and sulfites can be a trigger for many who suffer from migraines. My son suffers from migraines and he has three triggers; MSG – even in the slightest amount, low barometric pressure (his head predicts the weather) and – yes – sulfites. So at least in my son’s case, sulfites DO cause headache, about 30 minutes after exposure. And we’re not talkin’ a mild annoyance kind of pain, we’re talkin’ full-on, fetal position, can’t stand to be in daylight kind of pain. So to answer your question – YES – sulfites do cause headaches, but not in everyone.